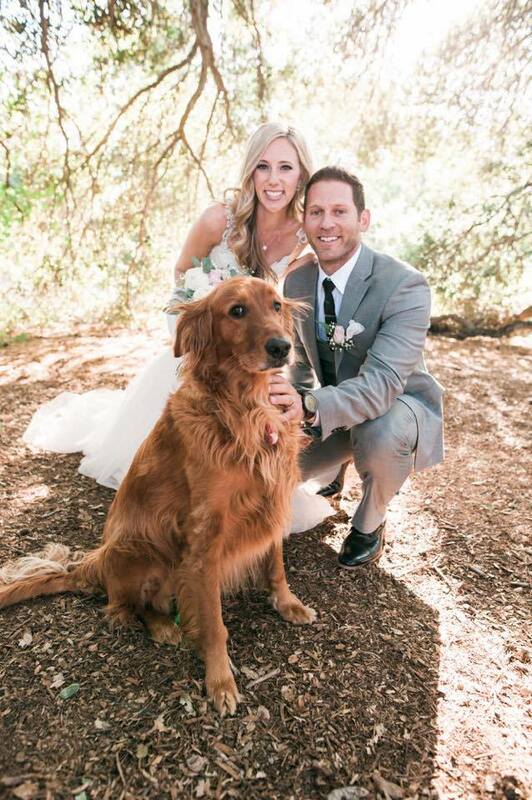 Help Newlywed's Michael and Lindsey recover from the Lilac Fire! 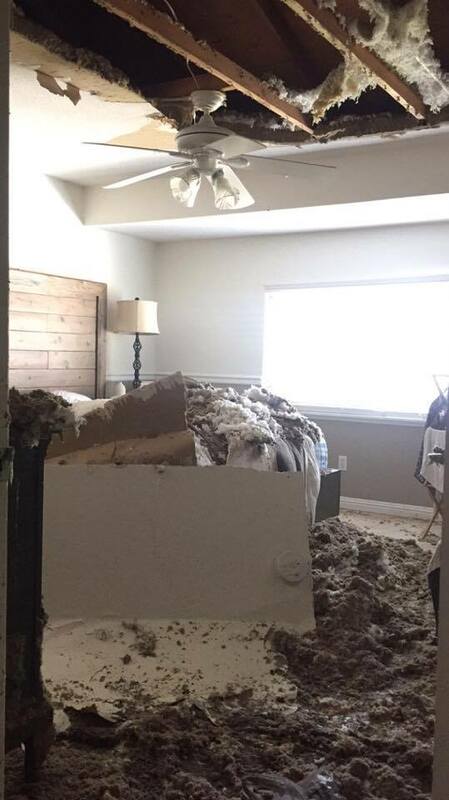 Their roof caught fire and water from the fire hose caused their ceiling to collapse. Insurance isnt covering all of the costs! They also have smoke damage throughout the house. The door was kicked down, while the fire was blazing all around, if you can imagine what that can do. The fees include cleaning, moving, storing, moving back into the house, and replacement items. They have already received quotes exceeding insurance coverage! They are the sweetest couple, and will find a way to give back to the community for any excess funds received. They were hesitant about the idea of the page, because they are so giving to others. Lindsey is an occupational therapist working with kids in special education and works in a hospital doing rehabilitation in acute care. Michael is the full time safety manager at a Resort and also has a side business as a performance coach and CPR/first aid instructor. They were in the process of putting together a health and wellness business plan, designed to serve and give back to the community. That was set to launch early next year. Those plans have been put on hold due to the fire. They're always serving others, and it would be so neat to give back to them!Please consider helping this lovely couple recover their home. Check out the news story link from NBC7! "SORRY ABOUT THE DOOR AND CEILING," the note read. "HAD TO GET IN THERE TO SAVE THE HOME." 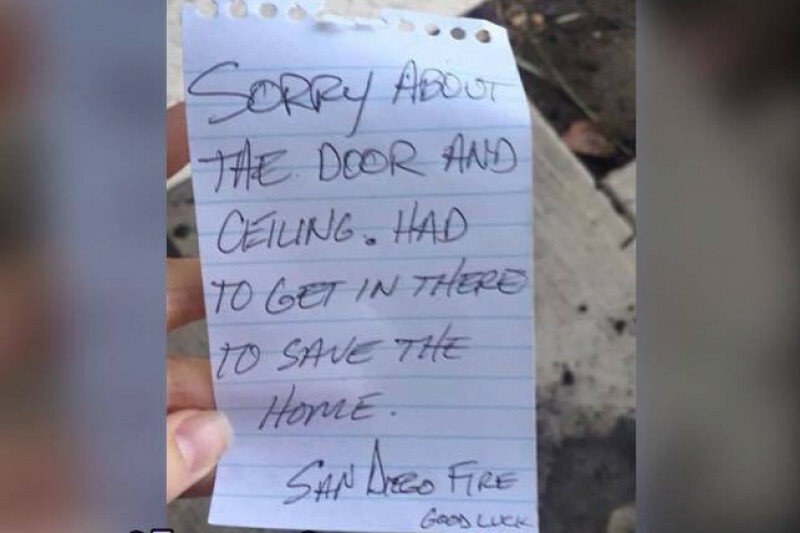 The note is signed by San Diego Fire and includes a small "Good luck" written at the bottom. Lindsey, a Bonsall resident, said she and her husband Michael she spent nearly three days wondering what happened to her home after the 4,100-acre ripped through North San Diego County. When they finally got back, they were surprised to find their home intact - for the most part. "Given the fact that the outside looked intact as we drove up, we weren't expecting to see our front and back doors kicked in and we definitely didn't anticipate what we saw upstairs," Lindsey wrote on Instagram. But, she added, they were so grateful to the firefighters for saving their home.